This past weekend, Community Rowing, Inc. of Boston (CRI) served as host to a Para Coaching Practical Workshop presented by Ellen Minzner (Director of Outreach), Beth Noll (High Performance Para Coach), and Marilyn Koban (CRI Military and Para Programs Coordinator). RESOLUTE Racing Shells and RESOLUTE Adaptive (Bristol, RI) helped sponsor the event. 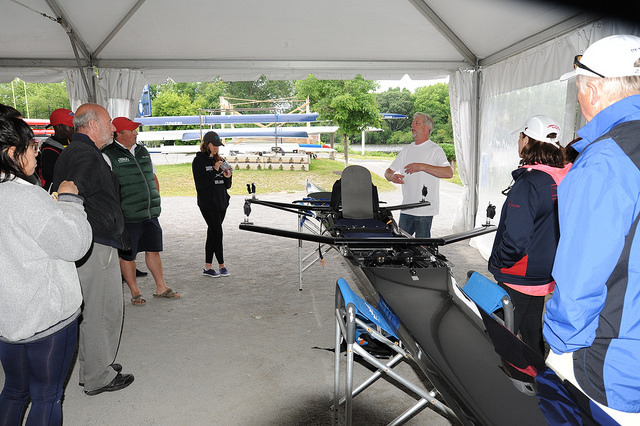 Their goal was to teach recruitment strategies, technical coaching aspects and equipment selection to help para coaches get athletes on the water safely and swiftly. With Ellen, Beth and Marilyn’s combined expertise in rowing, coaching and the medical field, they demonstrated how to provide individual para rowers with the optimal equipment for personal comfort, safety and skill level. 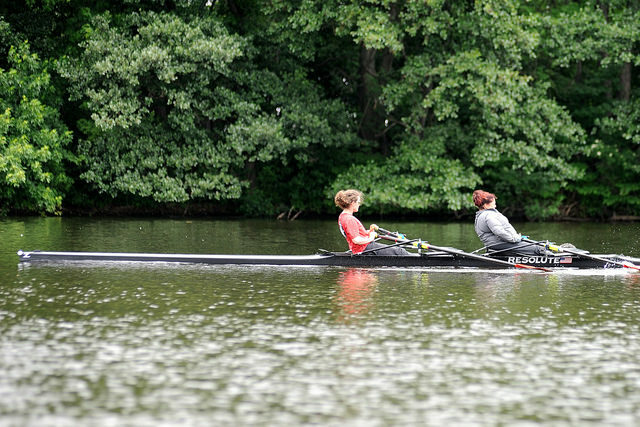 The coaching strategies they taught covered not just the technicality of the sport, but also how to maximize participants’ success in para rowing with thorough intake processes and pre-water interviews with the rowers. 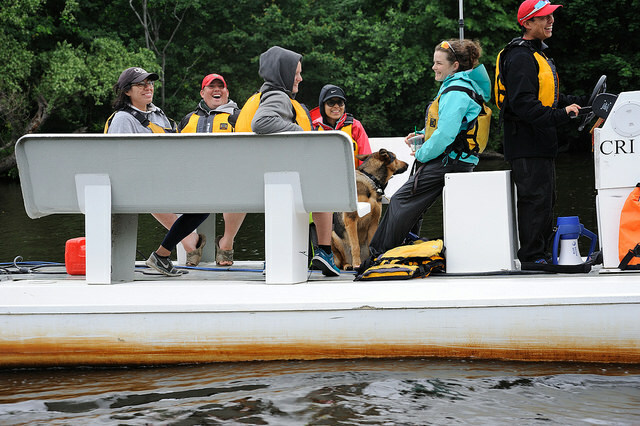 Attendees included coaches from Row New York, Rockland Rowing, Sacred Heart, Quinsigamond Rowing Club, and Lake Quinsigamond Community Rowing. The Uganda National Team’s adaptive coach also attended. Athletes of the US National Team and Veteran rowers provided a rowing demonstration on the Charles River for the attendees to view from the launches, thus providing a unique opportunity to observe coaching techniques and real-time feedback. 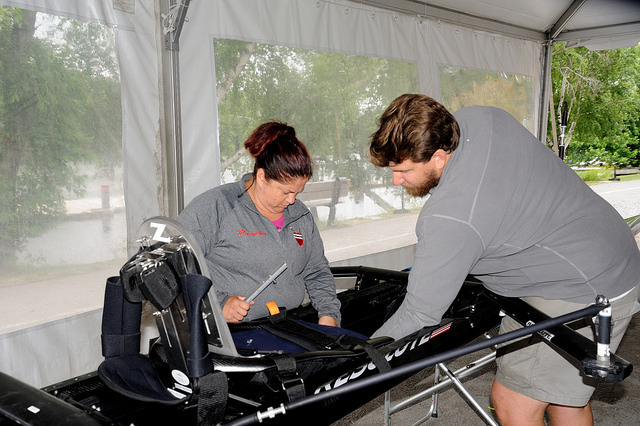 After the initial on-water portion of the event, the presenters discussed the viability and selection of para-rowing equipment and various adaptive seats, including those manufactured by RESOLUTE. RESOLUTE was able to illuminate how its Adaptive Seat can be configured to accommodate the wide variety of individual athlete needs for comfort and support, without sacrificing the mobility required for world class competition. Moreover, those same seats can provide recreational athletes with stellar exercise and the joy of comfortably getting out on the water. The day had many takeaways; one of our favorite highlights was hearing CRI coach Catherine Davie use a weightlifting deadlift analogy on her megaphone to explain to Army Veteran, Dawn Macomber, how to modify her stroke. Dawn, a para rower, is also a weightlifter. From the launch, we were impressed to see her stroke change by this tailored coaching approach to the specific individual. Dawn then rowed stroke seat in a RESOLUTE 2X using her RESOLUTE Adaptive Rowing seat, which was provided through the largesse of The Independence Fund. Her rowing partner in bow was Jenny Sichel, Coxswain and Silver Medal Winner with Team USA, RIO 2016. 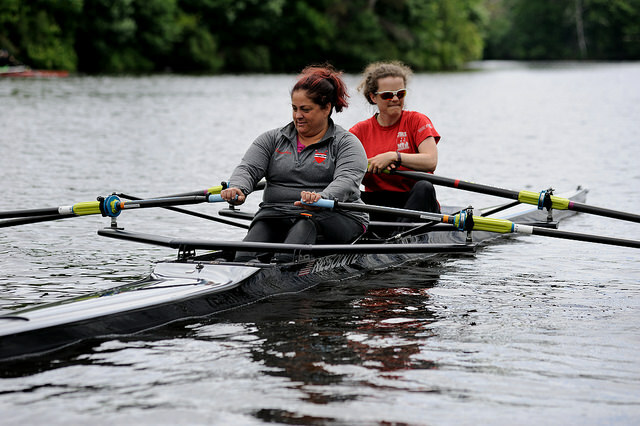 Their beautiful stroke was coupled with huge smiles as they experienced the joy of a real racing shell and disappeared down the Charles. This was a perfect end to a great day of listening, learning, observing and appreciating the sport of rowing for ALL athletes. RESOLUTE Racing Shells is proud to support adaptive rowing at all levels through our involvement with the Independence Fund and events like CRI’s Para Coaching Practical Workshop. At the event, an announcement was made that the Independence Fund will contribute a gift of a new RESOLUTE Adaptive 2X to CRI for their Veterans’ Rowing Program. 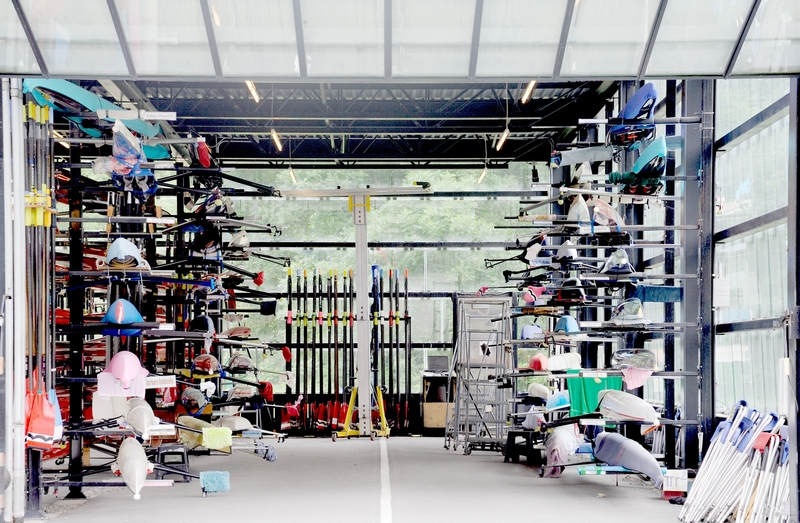 Also, through the generosity of the Independence Fund, additional funding for qualified programs will be available again in September for RESOLUTE Adaptive Rowing Shells and RESOLUTE Adaptive seats. Contact Blake Stouffer for more information about submitting a grant request at (786) 252-9641 or blake@resoluteadaptive.com.